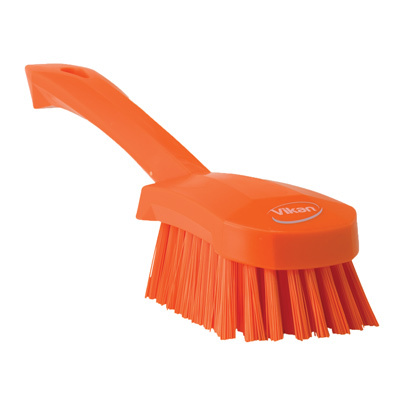 Orange Short Handled Stiff Hand Brush | U.S. Plastic Corp. 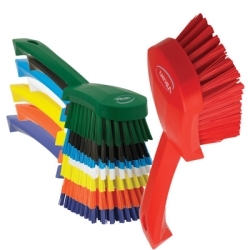 This fully color-coded, short-handled, wash brush has a comfortable grip allowing you to work for long periods of time without hand fatigue. 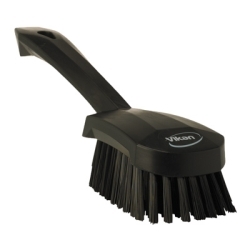 The stiff bristles are great for washing all types of equipment, tables and walls. 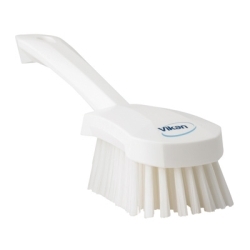 Overall dimensions: 9.8" x 2.6" x 2.6"